By Colin Bangay, Senior Education Adviser for the UK’s Department for International Development (DFID) in India. The views expressed do not necessarily reflect the UK government’s official position or policies. The contribution of citizen led learning assessments (CLLA) in which community organisations conduct simple reading and/or math evaluations has rightly been celebrated. 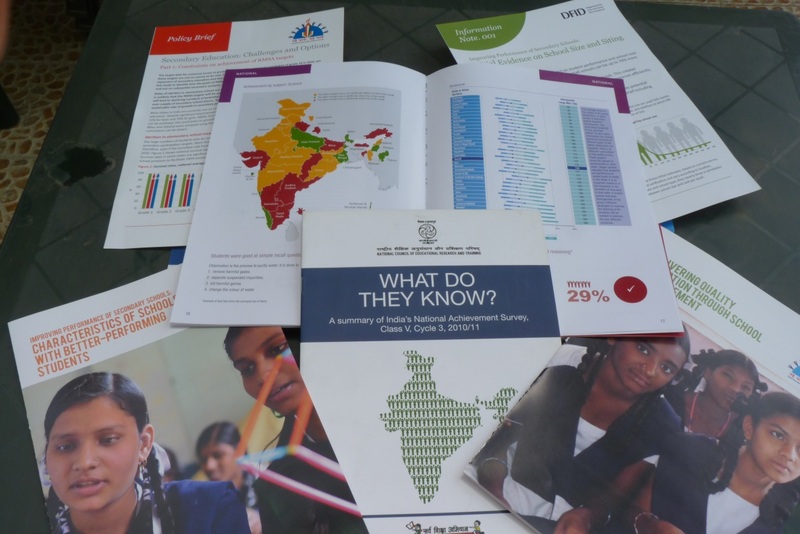 A new Results for Development Report (R4D) provides insight into their strengths, limitations and most importantly makes practical pointers on how they can be improved. The report has a lot to praise. CLLAs have mobilised civil society. They provide large scale reporting on skill proficiencies among children and adolescents both in and out of school. They have set the bar high in their adept communication of findings — presenting results in ways that are glaringly easy to understand – and as a consequence have impact. But herein lies the weakness: how often can you report dire results in learning before the shock value of the reports no longer shocks? 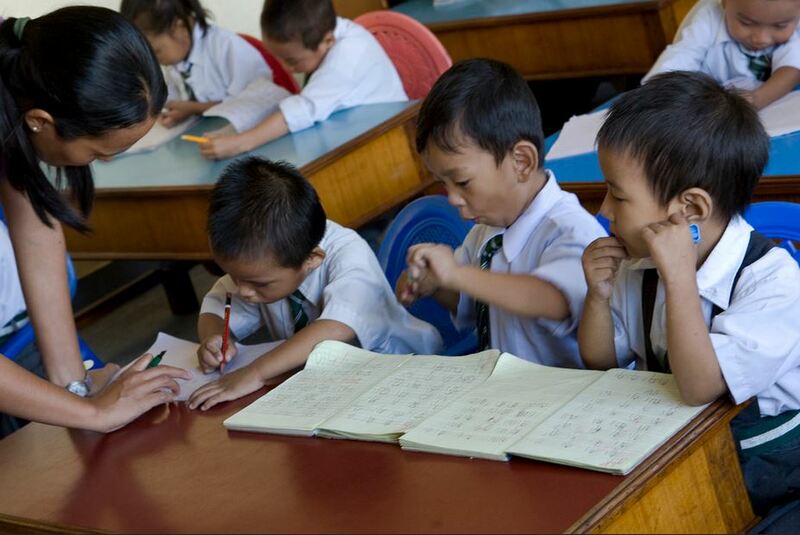 The R4D report finds that to date none of the CLLAs have succeeded in raising learning levels. This is largely because assumptions about how CLLAs should work haven’t held. Principal amongst these is that reporting on woeful learning levels will automatically galvanise action. Does this mean that investments in CLLA’s are misplaced? Absolutely not! The R4D study makes important recommendations on how to improve CLLAs so that they have greater impact when launched. It suggests looking to more diagnostic approaches that help inform solutions rather than simply quantifying the extent of the learning problem. R4D suggests this could be achieved by moving from annual benchmarking to bi- or triennial benchmarking. Savings realized could then be re-deployed on efforts to develop diagnostic assessments and to engage parents, communities and teachers in supporting children with complementary learning initiatives. There is a clear logic behind this. Firstly, reporting the scale of learning deficits doesn’t make them go away. Rather, well-informed practical actions in the classroom, home and community can drive learning improvement. Secondly, learning levels are not likely to dramatically shift from one year to the next. In addition, after an initial period of reporting poor results, the shock factor diminishes. Thus, more infrequent benchmarking may have greater impact. Evolution of the Indian Government National Achievement Survey from doorstopper to a graphics driven report. The study also contains guidance on how CLLAs can endorse a continuing focus on early years learning and encourages CLLAs to broaden the range of skills they are testing. In reading, it suggests expanding from assessing letter and word recognition to evaluating reading comprehension skills – thereby signalling the importance of ‘reading for meaning’. R4D also recommends raising the profile of skills in foundational mathematics, something the OECD has also recently stressed. Most importantly, the report strongly recommends CLLAs make rigorous efforts to ensure findings are robust and comparable both across time and geography (including opening up to third party external scrutiny). Clearly, without this there can be no valid comparison of progress in learning. One area on which the report is surprisingly silent is the relationship between CLLAs and government assessment systems. Many of the recent innovations in learning assessment—for example, CLLAs, early grade reading assessments–are advanced by NGOs and receive substantial support from external funders. However, if governments are to be held accountable on learning then it is important that government frameworks of assessment are also strengthened and given credence. There are encouraging examples such as India where great strides have been made in developing diagnostic learning assessments, which have robust comparability. As we move forward with a reinvigorated attention on learning improvement in the post-2015 education agenda, it is crucial that we build mutually reinforcing systems for learning measurement, diagnosis, and remediation which synergise with regional and international initiatives. This entry was posted in Skills and tagged target 4.1. Bookmark the permalink. Practically no lower-income country has been able to make changes on the basis of test results, either led by the government or by the citizens. The information is not sufficiently specific. Why would anyone think so? Because donor staff are educated in high-income school systems, that can do this. And we use our cognitive biases to predict outcomes in poorer countries. However, realists, including some World Bank staff dealing with measurement have known for years that governments can’t act on tests. So why keep doing it? Tests give people a sense that action is being taken. They are also convenient activities which can be done in a short time. (Efficient learning instruction, by contrast, is a hard job.) And big interests are involved, including Pearson publishers and influential consultant companies. The myth of accountability goes hand in hand with the testing myth. When were local or international staff fined, demoted, or fired for failing to show results in projects they managed? The GMR should also look into that myth. It would be great to get responses from other readers on this also. Le role des citoyens dans le processus des apprentissages. Cette thématique est d’un grand enjeux à l’aune de la mondialisation et de la compétition. Le contexte mondial est caractérisé par l’inauguration de l’Agenda post-2015 de développement. A cet effet, l’éducation joue un rôle central dans la construction des sociétés pacifiques, équitables et durables. Les citoyens ont une mission, celle de s’approprier les connaissances, les valeurs et les principes de développement durable. Cette transmissioon nécessite des transferts de compétences entre les générations, par le biais de l’établissement des réseaux et des partenariats. Our portal work in the education field for many years. Students go to this address and find the every solution related to the education. The CLLA movement is new to me. I find it to be fascinating that in the realm of contemporary education that their exists a desire to bring taxpayers, ordinary people into the storm of learning issues. It strikes me as a great thing that authority is decentralized– that power, especially over learning outcomes, can be shared with everyday citizens. Naturally, in our consumer society, we want immediate success, but in the all-too human world of growth and knowledge, things take time to improve. If the teaching of skills is tied to some real content then progress is bound to take place. Indeed, if assessment/evaluation results are utilized in harmony with the teachers’ objectives, then a positive outcome is more then likely to happen.